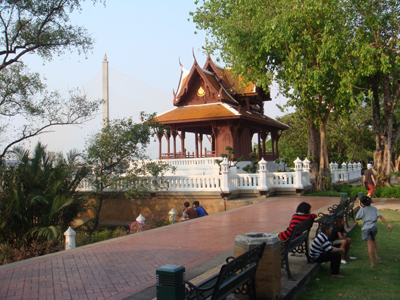 The Santi Chaiprakarn Park (known by the locals as “Suan Santi”) runs along the stretch of the Chao Phraya River, and is a favorite hangout for Thai youngsters and tourists alike. 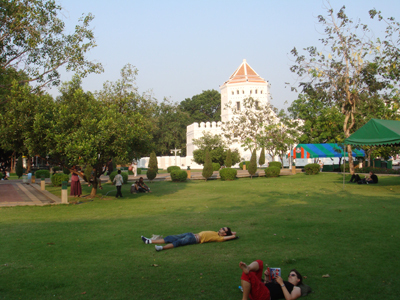 The park was built around the Phra Sumen Fort, one of the only two remaining forts built in the reign of King Rama I to protect the city. 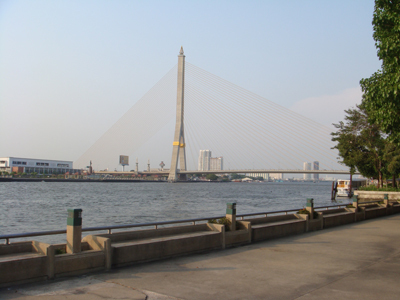 Suan Santi is one of only a handful of public parks in Bangkok that are on the riverside and gives a stunning view of the sunset over the river. 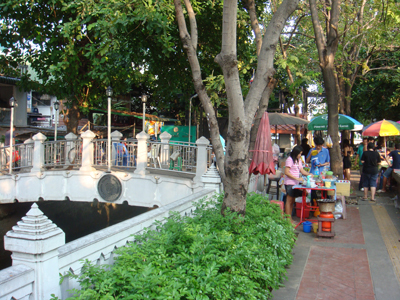 The only surviving Lamphu tree in Bangkok is also at the park. If you visit the park in the early morning, you’ll see groups of elderly Thai and Chinese ladies practicing various forms of Chinese martial arts, as well as joggers weaving their way around the park. But the place truly comes alive at night. Aerobic classes are held at the park and are free of charge and great fun, whether you join in or just watch people do silly moves. Skateboarders, jugglers, baton twirlers also make Suan Santi a truly colorful scene. 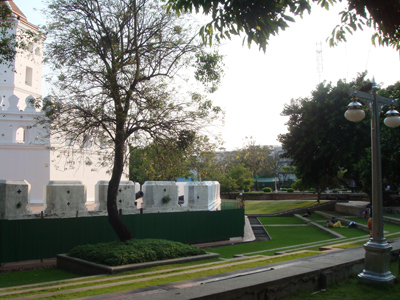 The park often hosts interesting cultural events such as plays by local theater troupes and concerts by aspiring Thai artists.